Ficklin VIneyards is the perfect place for your next event. ​Please Contact our tasting room for more information at (559) 674-4598. 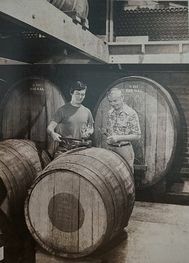 For 70 years, the Ficklin family has lived and worked among these handmade adobe bricks, and aged barrels that date back to the 1800's, as they've contributed to the Ports that have earned them the California State Fair's prestigious Wine Lifetime Achievement Award. Starting at a time when Ports in the United States were seriously inferior to their European counterparts, the decision was made to become the leader in quality Ports. That tradition has been continued through three generations. Learn about the Ficklin's history of becoming the most awarded Port in the United States. 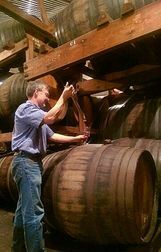 Taste your way through five unique Ports as your Tasting Specialist escorts you through the Barrel Room and Adobe Cellar. Each of your Ports will be drawn directly from the barrel by tap or with a wine thief as you taste the deliciousness of Ports representing different blends, styles and ageing. 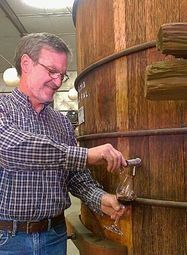 This tour will be tailored to the season so you will see what our winemakers are working on at the time to create the award-winning Ports Ficklin Vineyards is renowned for creating. Taste a number of individual varietals in their creation and/or aging process and our Tasting Specialist will lead you through identifying the unique characteristics of these varietals. Your appreciation of blended Ports will be deepened as you'll begin to pick up each varietal's contribution to the finished product.